Our 5 Favourite Marinades & Spices Perfectly Paired For You! 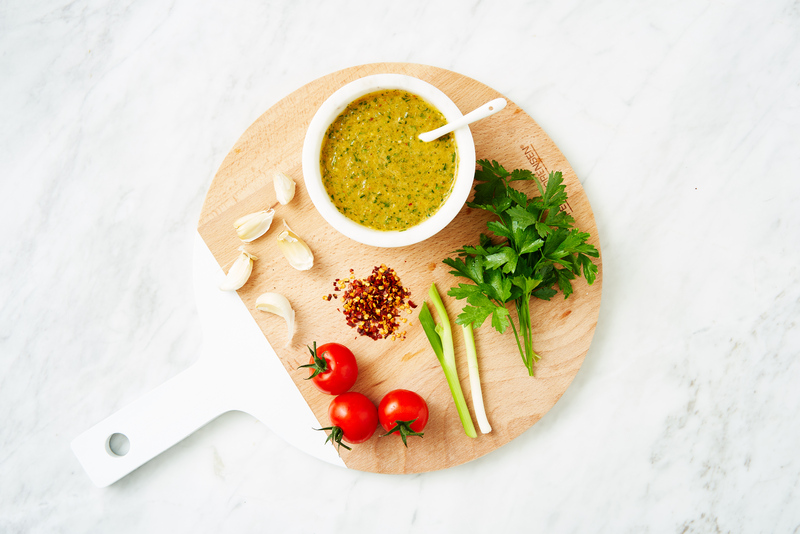 This week of perfect pairings we have summed up our five favourite marinades and spice blends that we just can't get enough of in the Marley Spoon kitchen. When talking about #PerfectPairings we can't ignore the match-made-in-heaven that is a good quality cut of meat with a delicious marinade or spice rub. This week we've written out our 5 favourite combinations so that you can spice up your cooking routine in no time! Serving suggestions: Simply serve with olive oil on lebanese bread/pita, or on chicken, steak or roasted potatoes for a delicious kick! Serving suggestions: Typically Adobo flavours pair well with pork or chicken, so this spice mix can be made into a wet marinade mix by adding 4 TBSP olive oil. You can also sprinkle this seasoning to beans, rice, and stews to add a punchier flavour. Pineapples contain enzymes that help tenderize meat, so this marinade is particularly good left on cheaper cuts overnight. Serving suggestions: Works well with chicken breast, pork steaks, beef steak or cheaper cuts such as flank, hangar and even eye round.